Finished quilt size: 16" x 16". I also tested out a block from the Retro Flowers pattern in this Joel Dewberry Heirloom print. This block is especially time consuming, and I've already talked myself down from 12 blocks to just 9 for a quilt I'm planning. We'll see how the next block goes, but I'm telling you... that number could be reduced to 4 pretty quickly. Lindsay, they both look great! I think leaving the triangles un-quilted was a fab idea. I also love your retro flowers block. That fabric was a great choice. Not my usual colors, either, but beautiful! Can't wait to see that quilt! I've been holding off on the retro flowers. I love it so much but I have ZERO patience for precision, which is probably all the more reason to try it. I need to work on those skills. Wow! I love it all! That mini is so pretty, and I am just in love with the retro flowers block, I'm also planning on doing 9...should make for a good baby quilt size! Lindsay I love both your mini and your block. Your RF looks so much nicer than mine! Oh well, mine is a practice block and my first attempt at curves. I have to start somewhere! Ooh, these are great! I just got the retro flowers template and I have the pattern, just need to psych myself up to give it a go! Husbands just don't get it, do they?. I love your modern mini entry. 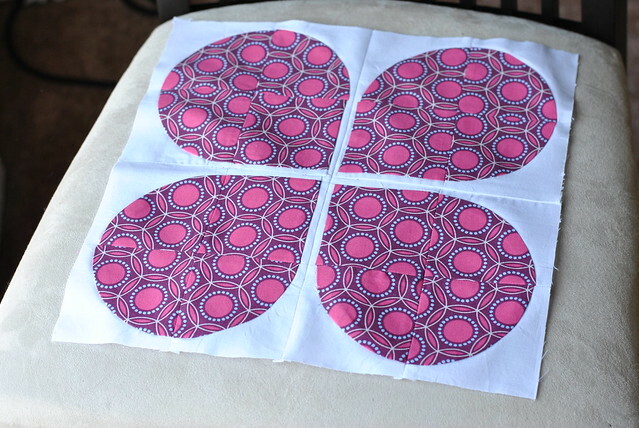 I'm doing the New York Beauty quiltalong, hopefully my blocks turn out as nice as yours! Love your New york beauty mini!!! I have the retro flowers template, but after a disagreement with curves yesterday it may be a while befoer I attempt it!! I LOVE the retro flowers blocks! p.s. could you please turn off your word verification?! Your mini looks great Lindsay and so does your petal block. 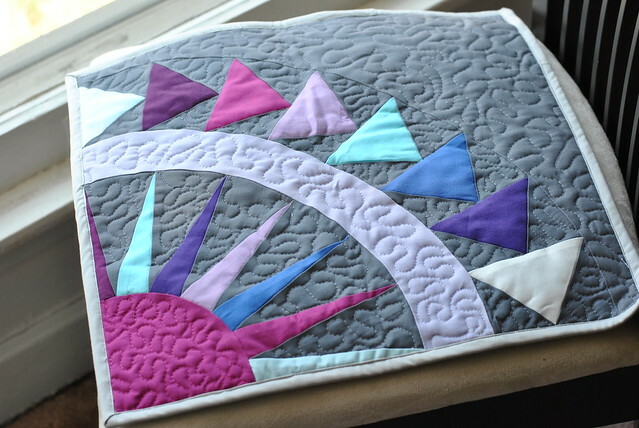 I love how the quilting makes those triangles pop off the quilt! Good luck in the contest. Thanks for taking part! I really like that mini. Beautiful quilting! 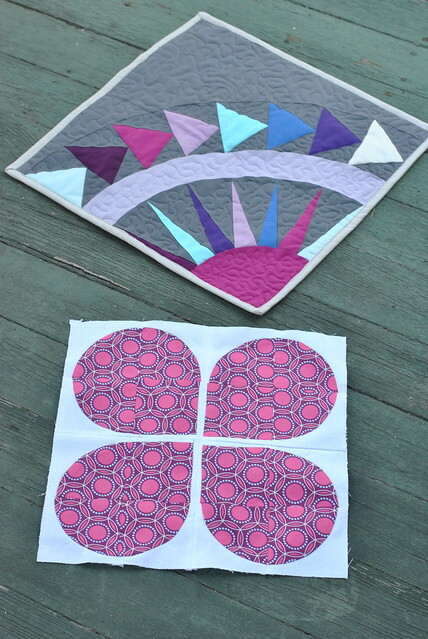 Nice work on the quilting...making those triangles pop! Love the bright colors! Oh husbands! Your mini is lovely and I love the Retro Flower block and have the pattern but now I`m a little worried about attempting it! What a beautiful mini quilt!